Today’s guest post is brought to you by a good friend of mine, Ryan Wood. I first met Ryan back in 2010 when he came up to Cressey Sports Performance from Virginia as a collegiate baseball player. Seriously, I’m not kidding. He’ll scream it every time someone hits a big lift, or whenever he walks into a room, or if it happens to be a Tuesday. It doesn’t matter. Ryan’s gearing up for his first powerlifting meet in a few weeks and I asked him if he’d be interested in shedding some insight on some of the lessons he’s learned in the process. I really enjoyed what he had to say. And even if you don’t compete or have any interest in competing, I feel much of what he says applies to everyone regardless of their goals. At the beginning of 2014, I decided to move on from baseball and jumped right into power lifting. For the longest time, I had a burning desire to train the big 3, and train them hard. I wanted to get stronger, and because of my competitive nature I had to find something to fill the void from no longer playing baseball; I knew I wanted to “compete” at some point, and powerlifting seemed like the perfect fit. I was a pitcher for many years so my training wasn’t geared towards getting as strong as humanly possible. Due to the nature of the sport, it wasn’t of tremendous benefit to back squat, barbell bench press, or even conventional deadlift. Once I retired, it didn’t take long for me to decide to register for my first power lifting meet. I started training right away. In preparation for my upcoming meet October 11th, I’d like to share some lessons I’ve learned along the way. While I have been strength training consistently for the last 4-5 years, my time spent training for powerlifting is fairly limited. My training was geared towards making me a better baseball player, and much of my time was spent training at Cressey Sports Performance in Hudson, Massachusetts. With limited experience back squatting, barbell benching, and conventional deadlifting, it was time to get under the bar. A lot. I’d like to thank Jamie Smith and Greg Robins for helping me prepare for my first meet. To get better with the Big 3, I needed to get some quality training in. My competition was many months away so my training began more generalized. I started out doing 50 total reps for each lift. I can remember starting with 135lbs on squats just to get the patterning down and get more comfortable with the bar on my back. I had done plenty of front squats, cambered bar squats, and safety bar squats, but time spent back squatting was very limited since I began training seriously for baseball. My goal was simply to get more experience with the competition lifts. I trained four times a week and the bulk of my training time was spent getting better with squatting, benching, and deadlifting. I started light with these movements and increased the weight steadily during the first few months of my training. If you have limited experience with a certain lift, you have to get experience with that movement or else you won’t get stronger. 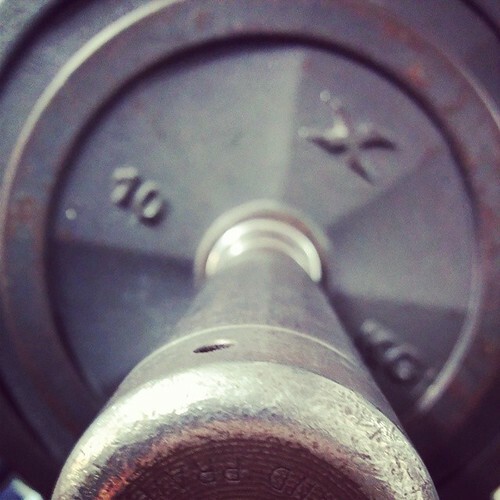 I soon became more familiar with the competition lifts and steadily increased my weights. Greg’s Building the Big 3 Plan served as the backbone for much of my training during the initial months. Although I was brand new to the world of powerlifting, I was familiar with how the lifts were done. I learned a lot of technical cues from my time spent at Cressey Sports Performance, surrounding myself with guys that were way stronger than myself. 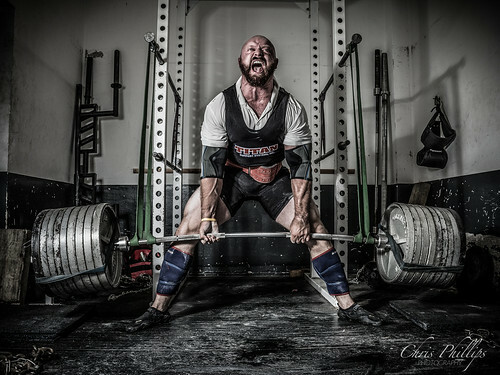 In the sport of powerlifting, technique plays a major role. An individual can get stronger with poor form, however at a certain point the gains will come to a halt and technique will become the limiting factor. One thing I learned from the very beginning of my training was that good technique from the get go would be crucial to my success. Creating tension will make or break a solid lift. Find a bar position that suits your squatting style. I have been experimenting with bar positioning and have seem to found that a slightly higher bar position works best for me. Get tight and stay tight. Drive your upper back and chin back into the bar and fill your belly with air. Keep this tension during the entire squat. Do not worry about “sitting” back so much if you are a raw lifter. Think more in terms of unlocking the hips by pressing the glutes back slightly and then squatting between your knees. Get as tight as possible through your entire body. Drive your upper back into the bench. Bar speed is important. When I first started benching, I brought the bar down to my chest way too slow. In doing so, I became fatigued by the time I went to press off the chest. Try bringing the bar down with good tempo but not dropping the bar onto the chest. Stay up the entire time. Driving the lats up and keeping the sternum as high as possible will not only shorten the distance the bar has to travel, but will also allow you to press more weight. Get your air before you pull. Some like to get their air twice, others prefer once. Do what works for you. Think about putting air into your abdomen, sides, and lower back. Pull the slack out of the bar and get your chest up. Try to get your shoulders over the bar whether you pull sumo or conventional. Start pulling back as soon as you break the ground. This will create tension in the glutes and hamstrings which will make the lift much smoother and connected. My training partners, Jamie and Greg, introduced me to Block Periodization. There are many different programs designed for building maximum strength but Block Periodization is the one they believe in and utilize themselves. 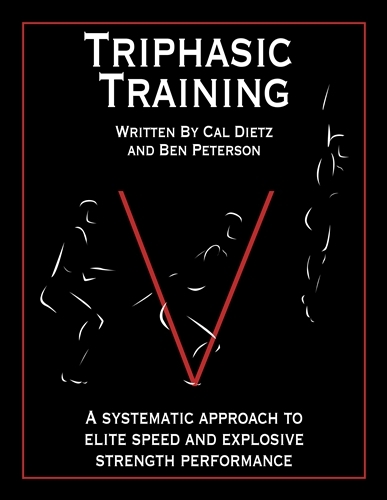 Note from TG: Triphasic Training by Cal Dietz is a nice introduction to the “idea” of block periodization. Sticking to a plan is critical to staying healthy while continuing to get stronger in the gym. With block training, there are periods of heavier loading and volume, and times with less volume and lighter percentages. With this type of training, I was able to hit my percentages during each block, which I feel will help set me up to be successful at my first meet. Following a plan will keep you honest and keep your ego in check. Greg Robins always tells me to work on building my strength instead of constantly testing my strength. During the last few months, I have been working on building strength so that I can test it come meet day. Without Jamie and Greg’s coaching and programming, I would have been completely lost trying to prepare for my first meet. As I progressed with my training, Jamie took over programming for me and set me up with a block periodization plan to help me prepare. Having someone to help you along the way is crucial. Jamie gave me cues to help me with proper technique week in and week out. I took his advice seriously because I knew that it would help me immensely in the long run. With benching in particular, doing pause reps were very important for me. Jamie stressed the importance of doing pause reps because this ensured that I was staying tight and keeping my sternum up throughout the lift. He recognized a weakness in my technique, kept me honest, gave me feedback and coaching, and I’m all the better for it. Moreover, a mentor and coach is also a great support system. 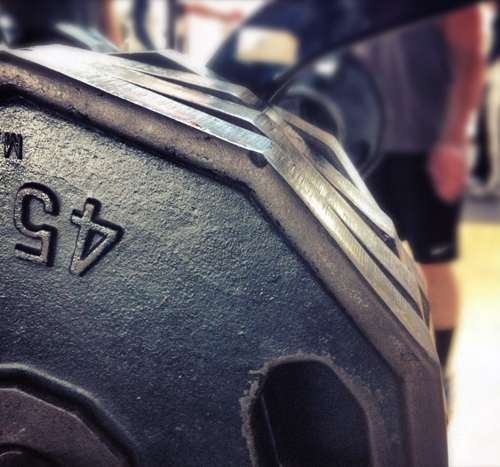 As weights start getting heavier, having a coach to guide you with cues during a set is priceless. I’ve been fortunate enough to train with Jamie and Greg and have learned many invaluable pieces of information from them both. Sometimes several months go by before your strength can come to fruition. With the way my training was set up, I was able to increase my strength over the course of months with the intent of peaking for my upcoming meet. Work on hitting your numbers during training. Do not miss reps. The preparation I went through was not designed so that I could set gym PRs. It was designed for me to peak on the platform. I’m looking forward to competing for the first time. I can’t wait for the adrenaline to rush through my body as I step onto the platform. Getting stronger is a hell of a lot of fun, and displaying that strength will be the real test. All About Powerlifting – Tim Henriques (this book literally covers everything about powerlifting). 2×4 Strength Program – Bret Contreras (this program is basic and boring. But basic and boring is what works!). Learn to Squat Seminar – Jordan Syatt (<— he holds world records. You should listen to him). Ryan Wood is a Certified Personal Trainer through the American Council on Exercise. He interned at Cressey Performance in Hudson, Massachusetts, coaching athletes, professional baseball players, and general population clients for the last several years. He now works as a personal trainer in the Boston area. He is passionate about about all things lifting and wants to help his clients reach their ultimate goals. He recently began powerlifting and will compete for the first time in October 2014. You can check out his website HERE or become BFFs with him on Facebook HERE. Proud of you buddy. As much as you thank us, I thank you as well. Ryan is an incredibly hard worker, and source of positivity. Thanks for sharing this Tony! Thanks Greg for your help and motivation!